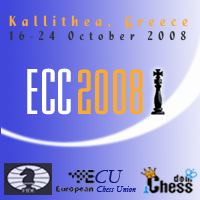 Cercle d’Echecs de Monte-Carlo (CEMC) have completed their registration for the European Chess Club Cup 2008. They will participate with a men team “pour le plaisir”, but what really will make a strong difference in the competition is their women team – GM Humpy Koneru, GM Pia Cramling, GM Xie Jun, IM Monika Socko, and IM Almira Skripchenko. Cercle d’Echecs de Monte-Carlo (CEMC) are the winners of the ECC 2007 and will compete for the title again. We had the chance to talk to Jean Michel Rapaire, who is president of CEMC since December 1990. Read the full interview at the official website.